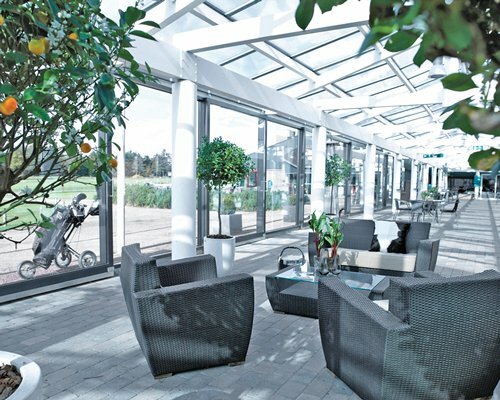 The Himmerland Golf and Country Club is the biggest golf complex in northern Europe, with a vast number of restaurants and bars. There are two international golf courses, as well as a three-par course. 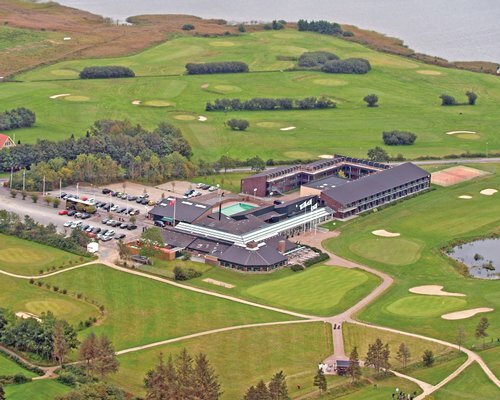 Himmerland Golf and Country Club is situated in a beautiful area with woods and small lakes. Himmerland offers a wide range of golf schools, along with a number of activities such as bowling, squash, pool, and tennis. There are indoor and outdoor swimming pools, saunas, fitness center, and spa. BY AIR: For international arrivals fly to Copenhagen (Sealand) and then further on via domestic flights to Ålborg.Ålborg airport is approx. 65 kms from the Club. BY ROAD: From ?lborg, take E45 towards Aarhus and then take junction 32 towards Års/Sønderup. Drive on road 535 to the roundabout and then turn to the right onto road 29 to Aggersund/Løgstør. After 12 kms turn left to Gatten and then follow the sign for 'Golfbanen'. If arriving from Denmark, turn off at junction 34 towards Års/Løgstør, continue until you see the sign for Gatten and then follow the signs for 'Golfbannen'. A car is highly recommended to enjoy the area.